A land of castles, awe-inspiring natural beauty, and picturesque cities and towns, Slovakia will capture your imagination and run with it. When should I visit Slovakia? Like with much of Europe, the best time to visit is from late spring to early fall – although winter sports enthusiasts will want to visit during, well, winter. Weather is rarely too hot, so you can expect comfortable temperatures during most of the summer. If you’re a fan of wine, you’ll have the best luck when it comes to tasting in September. Slovakia is in Central Europe. It is completely landlocked and bordered by Hungary to the south, Poland to the north, Ukraine to the east, and the Czech Republic and Austria to the west. How do I get around Slovakia? Trains will be your best friends for getting around the country, although there are some bus routes as well. You can also rent or hire cars, although public transport will be the best option for the most part. Slovak is the national language of Slovakia, Czech is also widely understood – but usually responded to in Slovak. In southern Slovakia many people also speak Hungarian. English is prevalent among younger people, businessmen, and professionals so visitors from North America shouldn’t have a difficult time communicating. Bratislava may not be the largest capital city in Europe, but it’s certainly amongst the most charming. Resting along the banks of the Danube, the city features a small yet beautiful old town and cutting edge modern architecture and art. Like most of the best European cities, a medieval castle dominates proceedings and is the most noticeable and recognizable landmark in the city. It’s quite hard to describe just how much the city has changed since the end of communism, but visitors to the Bratislava of today can look forward to plentiful cafés, shops of all sorts, and much more to keep them occupied. Slovakia’s second city perfectly encapsulates what you’d expect from a European Capital of Culture (circa 2013). Košice has built upon its medieval past to forge a burgeoning modern cultural scene, complete with theatres and renowned art exhibits. The past is still present with a healthy collection of historical monuments and sites spread throughout the cityscape. Like most of the country, nature is never far away, and you can quickly escape the urban lifestyle to explore the nearby landscape (including caves). While medieval old towns are a dime a dozen in this part of the world, Bardejov takes the grand prize as far as Slovakia goes. The town square, and burgher houses have remained the same for centuries, giving the entire town a storybook feel. While that is certainly the most recognizable feature, the area around Bardejov is full of intriguing sights and sounds as well. The standout is perhaps a nearby spa town, where the mineral waters are reputed to have many health benefits. Near the Czech border is another classical city dominated by a castle – Trenčín. While this is definitely not unique in the Slovak context, simply put, you really can’t afford to miss this one. The third largest in the country, its towers and keep are an imposing sight, situated high above the cityscape below. This is one of the older settlements in Slovakia, even serving as a military station for Romans back nearly 2000 years ago. While the castle alone is worth a trip, you’ll be treated to an exciting café scene during the day and exciting nightlife after the sun sets. Spišské Podhradie is solely on the list for its castle – and it’s easy to see why. 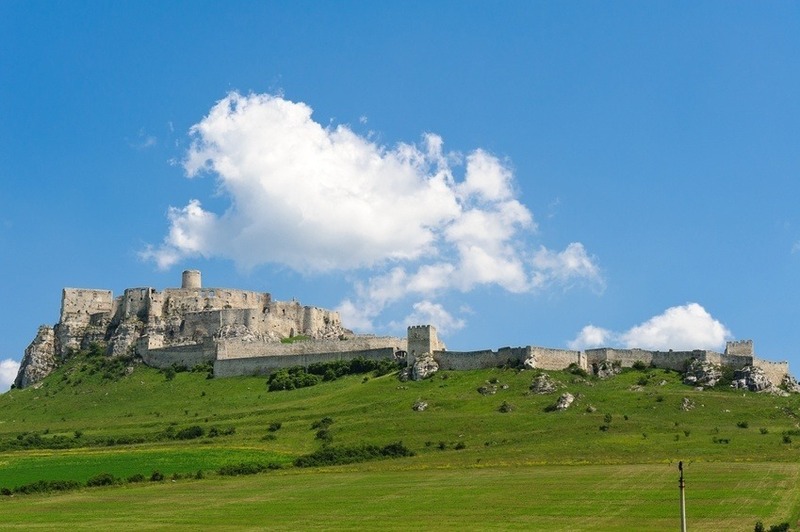 Set high above the town, Spiš Castle is one of the largest castle complexes in all of Europe. The massive fortress is probably the most famous sight in the entire country. Take the tour and you’ll be treated to a comprehensive trip through the kitchens, dungeon, armory, and more. It’s undoubtedly one of the most impressive castles on the continent, and the jewel of a country known for them. While charming cities, towns, and castles may be commonly associated with Slovakia, there is something else the country has quite a bit of – wilderness. Much of the country is dominated by nature, and the mountains (specifically the Tatras) are the most impressive part of it. 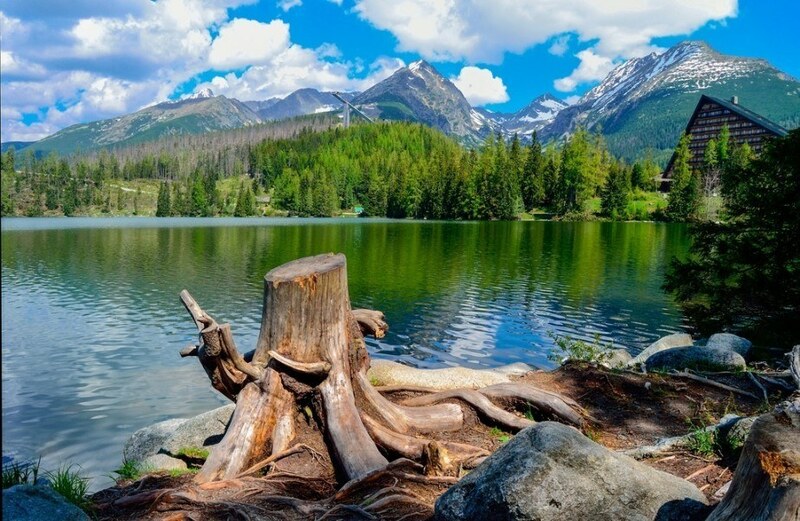 There’s quite a lot to see here, including the High Tatras (unsurprisingly the highest part of the range), holiday (both winter and summer) resort towns such as Poprad, tons of hiking trails, and the Slovak Tatra National Park. All told, this is the most impressive and awe-inspiring part of the country, and worth a gander for any adventurous visitors to Slovakia. How much does flying to Slovakia cost? Round trip flights between Pearson and Slovakia vary greatly in price. In some instances, you can fly to Košice for around $1200 Canadian while heading to Bratislava could be several hundred more. You could potentially save significantly by flying into other nearby countries (such as Austria) and making your way to Slovakia with more affordable local/budget transportation. As with all trips to Europe, visiting multiple countries is recommended – so be sure to shop around to find the best possible deal. How much does it cost to visit Slovakia? Slovakia is a member of the eurozone, and as such, uses the euro as its currency. You can expect prices to range from about on par with to slightly cheaper than other euro countries. Expect to spend about an average of $94 a day with a budget of $43 for accommodation and $37 for food. If you keep a tight budget, you can probably get by with about $41 a day while a high end budget will run closer to $189 a day. Slovakia is a generally safe country with no nationwide advisory and normal security precautions recommended throughout by the Canadian government. Be aware that petty crime is an issue in busy tourist areas (specifically the old town in Bratislava). You should also be vigilant on trains and avoid leaving valuables in parked cars. Local driving practices can be dangerous while remote roads are sometimes narrow and poorly lit. Overall however, your journey to Slovakia should be a safe one. 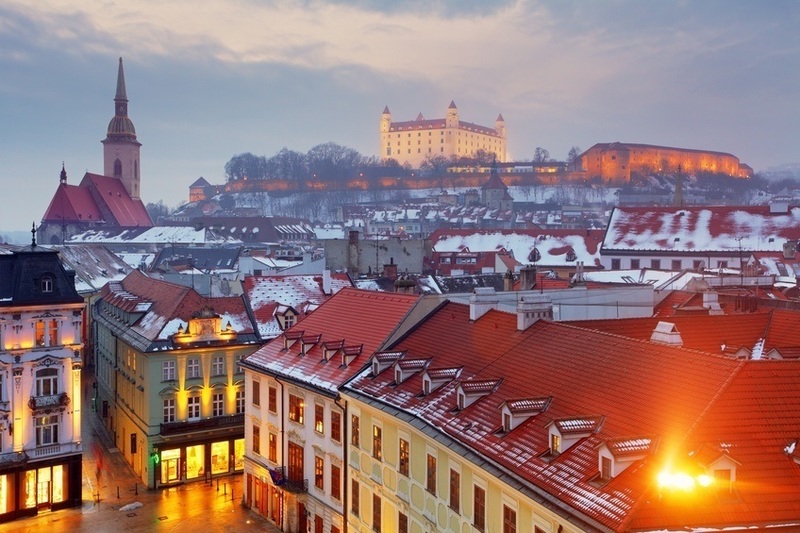 For more on travel safety in Slovakia, check out the Canadian Travel Advisory website. These are just a few examples of where to go in Slovakia, there’s tons more to see and do. If you think somewhere else should be on the list – or want to share you own experiences, tips, or advice – let us know in the comments. Check out our Country of the Week for more general information about Slovak history and culture. 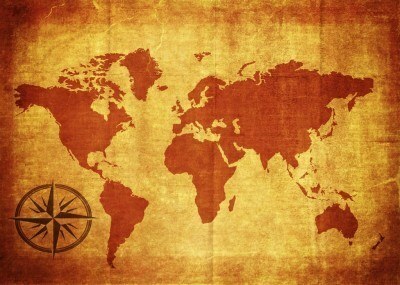 Planning a trip right now? Learn more about the euro, and then buy yours using FXtoGO.